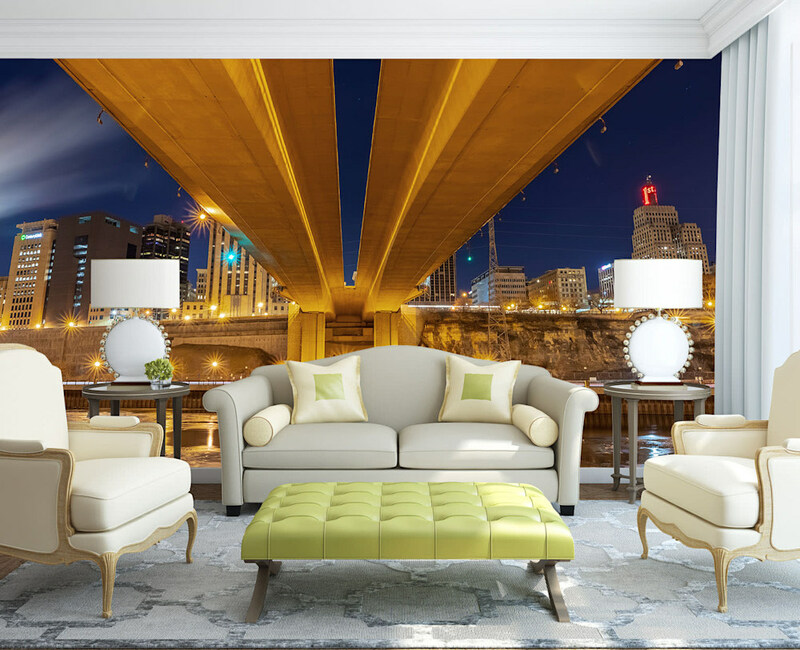 The Saint Paul Skyline shines on both sides of the Wabasha Street bridge as it spans the Mississippi River. 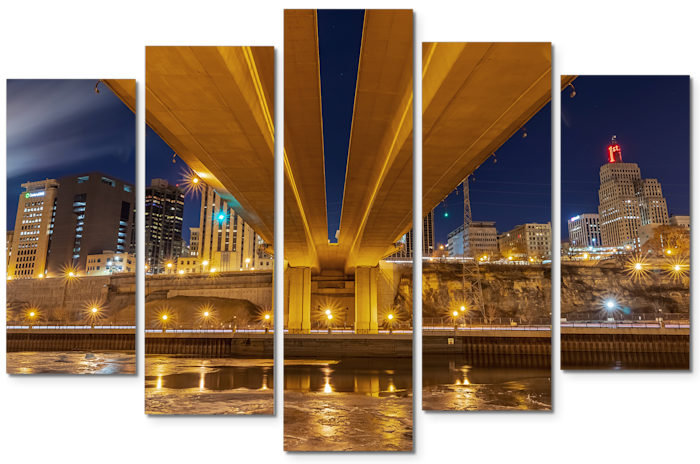 This St. Paul Wall Mural comes in three different sizes, and custom sizes are available as well by contacting me. Sizes and descriptions will be listed below. All of my Minneapolis murals are made for smooth and slightly textured surfaces. They are an easy to install peel and stick woven fabric, and they are removable and repositionable. They are also manufactured in the USA. More information is listed on my main Minneapolis Wall Murals page. See other media options for this print in my Urban Cityscapes gallery. 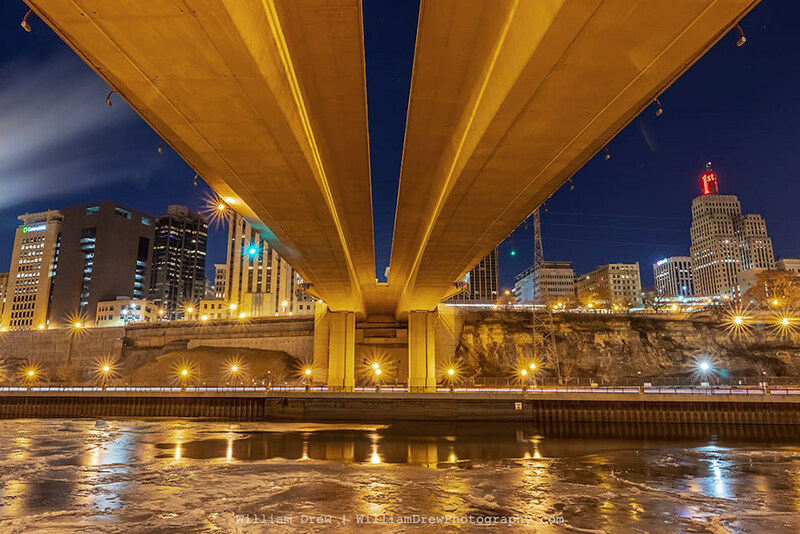 This photo features a winter view of the Saint Paul skyline from under the Wabasha St. Bridge that spans the Mississippi River. This print is also available as a Cityscape & Skylines Wall Mural. I hope you enjoy my cities skylines photo, and please feel free to share! Wabash Saint Paul photograph as Fine Art.